If there’s one thing you can bet on, it’s that nothing in life is ever black or white. 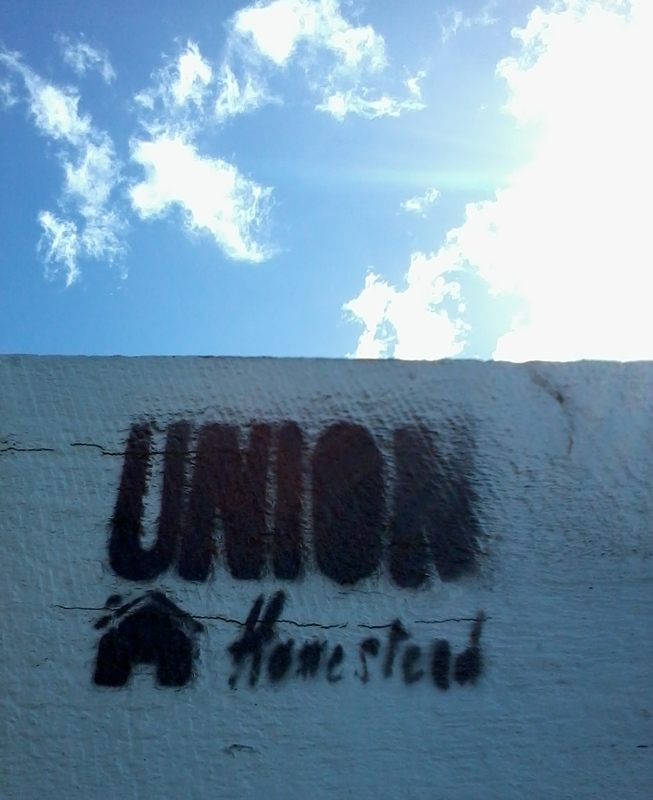 In the world of Union Homestead, if there’s one thing you can bet on, it’s that nothing is ever black or white. Take gardening for example. Here on the homestead we take our gardening pretty seriously. Although our plots have something of an organic, unplanned (dare we say chaotic) feel to them, and the green fingers of purists that wander through our gates itch at the sight of the very healthy weed population, our gardens are our supermarket. A supermarket with zero food miles. But in order to feed us, plants need feeding too. With the chickens, ducks and goats, plus the compost bins and worm farm we brew up a pretty good dinner for what ends up on our dinner plates, but there’s no disguising the fact that gardening on a plot one block from the sea requires a sizable amount of a resource our planet is growing a little short of: water. Even with our current rainwater tanks (1000 litres in total) we still end up way too often with the garden hose in hand pondering whether this way of life is truly easier on the environment. On one side we have six people producing nearly all their fruit and vegetable requirements, devoid of chemicals (albeit a little less than perfect in appearance on the whole), in their own backyard with all the holistic hoo hah and fitness benefits this entails. On the other we have an inferior base product (sandy soil) requiring the over-utilisation of a very precious resource (clean water). In the middle, a lot of grey area. Then there’s the chicken debate. Our first chickens were ex-battery. Cadence and Phoenix arrived on the Homestead featherless, unable to stand properly, and not convinced about the whole scratching around in the dirt thing. Much time, consideration, care, and love was leveled on them and there’s no doubting they loved what we provided as much as we loved the way they brought out garden to life (with the bonus of gorgeous, sunny yolked eggs) in the over-short time they were with us. When they died, worn out by the way they spent their first fifteen months, we took stock. We felt proud that we had made their last year so wonderful, but in paying for them hadn’t we just brought into the industry we were saving them from? What if there was no one buying the eggs, the meat, or the poor, spent chickens? And another thing…The Homestead is heated by an Osburn (low emission, thrice burning) eco-wood burner. This wonderful device also heats our water and its cast iron top is perfect for slow cooked stews, soups, pasta sauces and decadent steamed puds. Like the plants, however, it also requires feeding. We spend a lot of time gleaning firewood; friends cut down trees and think of us. One fuel source came in the shape of wooden detritus littering a yard. Some of it was treated, some no doubt splashed with chemicals too horrid to ponder, it was dirty and grotty and yuk but it was wood. We hummed and hah-ed. The scales were finally tipped for us when we learned that, if we didn’t take it, it would be bulldozed into a pile, liberally sprinkled with diesel, and set alight. The yard needed to be cleaned, the wood needed to be “gone”. Now we’ve warmed up…what about clothes? Five years ago when we were preparing for a new life in a new city, we decided a bit of a wardrobe spruce up was in order: new jeans all round! When the Milk Maid put her hand into the back pocket of her newly purchased Levis she discovered a slip of paper, typewritten and photocopied (we often wish we’d kept it). It was a check list: biroed crosses in boxes and a shaky “LM” signature, not at all sinister, no hint of oppression but it made us all think. It personalised it. Someone, somewhere, had tucked that piece of paper in that pocket after carrying out whatever check they were employed to do for, we are sure, not a fraction of a fraction of the $100 plus we’d paid for them. An American brand, made in Sri Lanka or Cambodia or Thailand, bought in New Zealand. We want no part of sweatshop labour of the type we witnessed in the horrific building collapse in Savar, Bangladesh: white. Without paid work, how would these garment workers live: black. Daily Homestead life is full of these sort of grey area dilemmas: meat eating or vegetarian/veganism, leather shoes verses man made materials, fossil fuel burning transportation – to own or not to own. Each one is subject to some degree of soul searching. On Sunday, friend of the Homestead and real life pirate, Nudger, popped in for a coffee and a chin wag, bearing gifts: cucumbers, six of them! Over catering for a recent event had resulted in an overabundance of them, all with their edible life metre running. In the same way that corn on the cob is now sold shrink wrapped, these cucurbits were sheathed in plastic and thus would never usually be allowed on the Homestead. But life is never black or white. 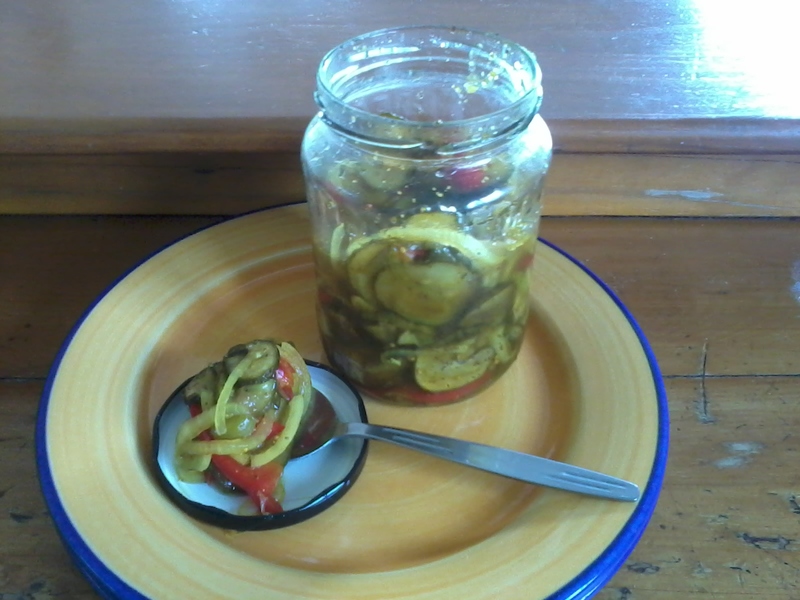 And Bread and Butter Pickles is a Homestead favourite. Maybe you want to give it a go! 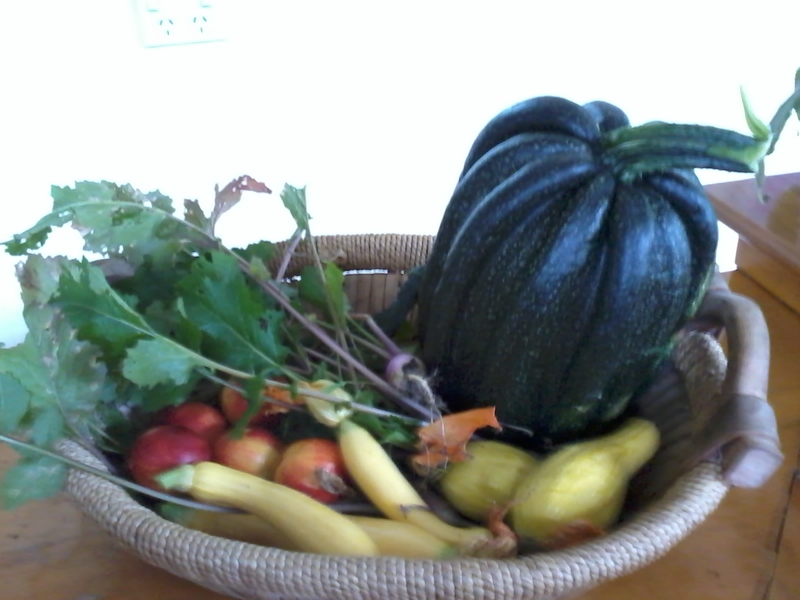 This entry was posted in Garden, Union Homestead and tagged Bangladesh, battery hens, brands, Christchurch, cooking, cucurbit, decisions, dilemmas, farm, Food, foodies, free range chickens, homesteading, Levis, morals, New Zealand, pickles, preserves, reflection, Savar, self sufficiency, sweat shop, urban homesteading. Bookmark the permalink.